SASSA led by the Minister briefed the Committee on its engagement with South African Post Office (SAPO). SAPO has indicated its readiness to offer its services to SASSA as a state-owned enterprise (SOE) in compliance with the ICT White Paper which was approved by Cabinet and in an orderly transition in compliance with SASSA’s mandate. SAPO has an extensive fixed branch infrastructure with the ability to expand its reach even further into rural areas, to provide grant recipients a choice of payment options, and provide SASSA full access to the National Payment System through its Postbank division. In summary, SAPO has the capabilities of effecting payment within its already established pay channels. SAPO has known experience as a payment provider of social assistance and has experience of operating as a bank. It has reliable and trusted Telkom support on technology and connectivity. SASSA on its part will manage a control bank account which will help reduce the current delay experienced when the money is transferred from National Treasury to DSD then to SASSA then to Grindrod. SAPO will work on the principle of build, operate and transfer with SASSA. Members welcomed the presentation as progressive. Questions were raised about the R1.1 billion profit made by Cash Paymaster Services (CPS). They suggested that CPS and SAPO be invited to brief to the Committee. Members asked about termination and continuation of the work streams, illegal deductions, the Pretoria High Court judgement which is contradictory to that of the Constitutional Court. What is the number of complaints SASSA deals with each month about deductions? How many are refunded? Giving an affidavit has been a challenge for people when making a complaint. Is the affidavit taking place in-house now? Ms Nelisiwe Vilakazi, DSD Acting Director General, thanked the Committee for its oversight in ensuring that SASSA delivers its mandate. Mr Thokozani Magwaza, SASSA CEO, thanked the Committee for the opportunity and handed over to Ms Mvulane to present the report. Ms Zodwa Mvulane, SASSA Executive Manager: Special Projects, said the weekly progress report would give feedback to the Portfolio Committee on the outcome of SASSA and SAPO’s workshop as the initiative to explore government to government collaboration for the payment of social grants. • Build the system and processes towards the institutionalisation of the payment function. • Ensure that the payment functions within SASSA is incubated and offered specialist support for development and implementation of industry approved systems. • While SASSA is building its capacity, the processing of payments will be done through existing banking, SAPO and SASSA infrastructure. • Develop and host technology required to implement and operate the control and special accounts back office. • Currently Postbank has 5.7 million customer accounts. • Reliable and trusted Telkom support on technology and connectivity. • SASSA to continue working on those areas for which it will take direct control. Mr Magwaza said that the build, operate and transfer principle means that SASSA will be part and parcel of the entire process. This is to avoid the situation with CPS where SASSA was working at one side and CPS at the other. SASSA is confident that SAPO will be able to deliver on its promise. The Chairperson asked if SASSA has special unit that will monitor the process when it has been transferred. Ms S Tsoleli (ANC) welcomed the presentation but said the presentation must be detailed next time and not in bullet form. This is to enable clear and easy understanding of the presentation. Ms Tsoleli said that most times when SASSA and the Committee meet, something will come up in the media. Speaking under correction, it was suggested that CPS should not make a profit or benefit from the extension of the contract. However, a KPMG report indicated that CPS benefitted up to R1.1 billion in profit from the contract before the extension and it did not disclose that in court. It is therefore time for the Committee to be taken into confidence on what is going on. What did the court order say about the extension of the contract, is it for the terms and conditions of the contract to remain as is? An explanation is needed on this. SASSA should take the Committee in confidence on what is happening about the profit. Is there an opportunity for CPS to be called to present on its financial outlook? If the Committee holds SASSA to account, where does CPS account? What role does SASSA play in ensuring that tax payers' money is not misused? It is encouraging to hear that SAPO is ready to take over. The Chairperson requested the secretary to seek legal advice on whether the Committee can invite SAPO and CPS. 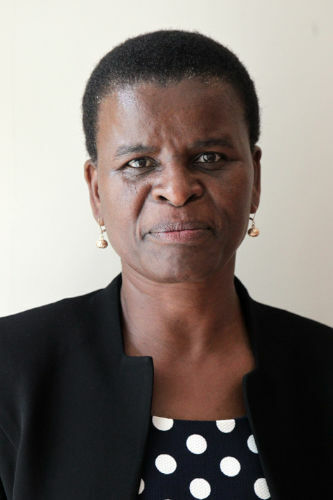 Ms B Masango (DA) asked if the request for proposals (RFP) for paying grants appearing in newspapers is falling away. The presentation is a progressive one. What costing has emerged from the SASSA- SAPO workshop? Why is SASSA going for a corporate account instead of SAPO? Is a risk being averted by having this account? Ms B Abrahams (ANC) asked how secure is the beneficiaries' data. What security or mechanisms are available to ensure that people are not exchanging SASSA cards for Moneyline's EasyPay Everywhere green cards? Is there any goodwill or royalty owing to CPS? Ms C Madlopha (ANC) welcomed the presentation. Insourcing is good because it will give capacity to the state. What mechanism will be used to secure data? What plans are in place to ensure that the data with CPS is secure when CPS is phased out? The Committee should meet with SAPO to understand whether it has a costed budget for what they have agreed upon, there must be a costed readiness. SASSA should also provide its agreement with CPS to the Committee to ascertain whether there is accumulation of profit within the agreement. Ms Tsoleli, clarifying her concerns, said that in 2014 when the contract between SASSA and CPS was declared invalid, a clause says that CPS should not make any profit from the illegal contract. Are the terms on the new court order following the extension of the contract based on the terms on the invalid contract? The agency should clarify on the profit. Ms H Malgas (ANC) said there is a contradiction between the Pretoria High Court order and Constitutional Court judgment on data ownership. What is SASSA doing about this? There is need for a timeline when the EasyPay Everywhere green cards will be phased out. Clarity is needed on the protection of beneficiaries’ data. On the contradictory judgements, Mr Magwaza replied that SASSA is appealing the Pretoria High Court order. The Constitutional Court is the highest court in the country. According to the understanding of SASSA, the CPS contract was extended with the old conditions. On the CPS R1.1 billion profit, SASSA is not focusing on it because it is not involved in it. The court order stated that at the end of the contract (31 March 2018) an independent monitor should be appointed to scrutinise the financials of CPS. Hence, SASSA is not worried about the profit issues or concerns. Concerning the special unit, the 'build, operate and transfer' principle means that SASSA will be involved from the start. It will be done by SAPO, but members of SASSA will be part and parcel of the process. The request for proposals (RFP) will not be ruled over. The reason why SASSA is getting the control bank account rather than SAPO is to avoid issues of profit accumulation, deductions or interest. This account will be owned and controlled by SASSA. The special accounts will have regulations on it. There is no goodwill or royalty to be paid to CPS. Ms Mvulane said that the issue of RFP cannot be answered with certainty in this meeting. Mr Abraham Mahlangu, SASSA Chief Information Officer, said that the issue of data is pervasive across the board because it is related to the fine print. Beneficiaries’ data will be protected between SASSA and government existing repositories such as the trust centre. The trust centre has various layers of security and SASSA will use beneficiaries’ data only to effect payment and not for any exploitative motive or financial benefit. It is quite unfortunate that beneficiaries’ data was used when it was in the hands of agent that was trusted by SASSA to pay grants. SASSA will appeal against the Pretoria High Court judgment. Mr Mahlangu said that as SASSA goes forward and puts modalities into government to government collaboration, it will operate the programme in a war room way where joint subject matter experts between government entities and SASSA will be on a full-time basis in monitoring the progress and delivery of the court requirements. A joint project team will also be created. Mr Magwaza replied that the costing will be presented as soon as it has been finalised. The Chairperson said that when the SASSA APP was approved, the Committee had double checked the budget of SASSA activities. The workshop with SAPO is one of the activities. What happens if people do not receive money one month, does it go back to the Department or does it disappear? Ms Tsoleli was not happy about the CEO's answer to her question. It should concern SASSA when such large profit is spoken about it. Mr S Mabilo (ANC) welcomed the presentation but it lacks a specific and realistic timeline which will enable oversight by both the Committee and SASSA. Minister of Social Development, Ms Bathabile Dlamini, said that SAPO must come and present a full report to the Committee. The Constitutional Court has written a letter instructing SASSA to sit together with other stakeholders that have submitted names of experts. SASSA had planned to have the meeting last week but because of the budget vote preparation it did not happen. The Inter-Ministerial Committee has had its own meeting. The departments that are part of the inter-Ministerial Committee are Telecommunication and Postal Services, Home Affairs, Local Government, State Security, Treasury, Science and Technology, Small Business and SITA. The challenges faced by SASSA is that when working with SITA, SITA does not work on its own but looks for a service provider. This should be considered. The Constitutional Court said in its judgement that CPS is an extension of government. The Committee must then call CPS to ask questions on the many issues. CPS would not have worked with the database if it did not have the biometrics and information of the grant recipient. The database comes from the biometric information. The government has three arms: judiciary, parliament and executive. SASSA has agreed that before taking the June progress report to the Court, it will be brought to the Committee so that the legislature is aware of the content of the report. SASSA will also submit the progress report to IMC. The issue of timelines is very important. SASSA will work on this. When SASSA advertised for the previous tender, there were different amounts that were to be paid in different provinces but the highest was R45. SASSA then bought it to a uniform R16.44 for a period of five years. It is important for the Committee to get a full briefing of all the monies that are not visible. Grindrod Bank has been giving back interest. An independent monitor will look at the entire process which will reveal whether Grindrod has been giving SASSA the total amount of interest. This will be made known when the contract comes to an end. SASSA will try and respond to everything especially from the media. The culture of SASSA has been to keep quiet when there are media statements to avoid continual argument in the media space. The Communication Unit will work on it. The Minister has established communication with the Minister of Justice due to the contradictory judgments that came from justice system. The Agency is not happy with the latest judgement about the beneficiary database and how it should be used. It confuses SASSA when the lower court comes up with a different judgement from that of the Constitutional Court which is the highest court. The Chairperson said that the Committee will seek legal advice in inviting SAPO. This is to be aware of the legal guidelines to follow. The issue of communication as raised by the Minister is very important. It is high time the Department and Portfolio Committee spoke to South Africans and clarify issues. Ms Masango asked about the progress on the termination of the contracts of the work streams. Mr Mabilo asked if SAPO envisages the provisioning of additional financial services to beneficiaries such as the notion of savings and access to credit in a positive sense at a rate that will be favourable. There is the prospect of R3 billion savings if one goes this route, has DSD factored in and how to use these savings? How recent is SASSA’s citizen survey of grant recipients? The last time a citizen survey was done about the time spent to arrive at pay point and be paid and other such metrics was in 2004. Ms Tsoleli asked if SASSA is engaging with other government departments that will be useful going forward. Can SASSA communicate directly to the beneficiaries in a language they will understand about the payment of grants? The Chairperson said that the Minister had alluded to Ms Tsoleli’s question when she talked on the Inter-Ministerial Committee. The Chairperson asked about the deductions especially for the funeral policy. Ms L van der Merwe (IFP) asked about the illegal and immoral deductions. What is the number of complaints SASSA deals with each month? How many are dealt with and how many people are refunded? Giving an affidavit has been a challenge to the people when processing their complaint. Is the affidavit taking place in-house now? Ms van der Merwe asked how much will the takeover by SAPO cost? It is important to call in CPS especially about the illegal deductions. The R1.1 billion profit came from the payment of grants. Who knows how much it made on illegal deductions? It is therefore important to invite CPS. 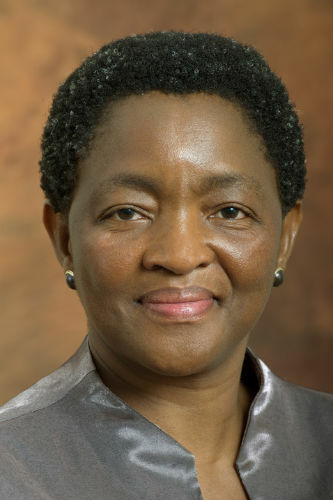 Minister Dlamini said the issue of deductions has been a longstanding discourse. The first case was with the National Credit Regulator (NCR) which case SASSA lost. Deductions started before Regulation 26A. Sometimes families are unfair to SASSA, they take a very ill person to the pension pay point and the person will pass out while in the queue. The agency tries to get information as to why the recipient passes out while in the queue. It is a concern to SASSA that people pass out while waiting in the queue. The loan sharks take the IDs of the people, when the recipients get their grant, they sometimes forget to collect the ID back from the loan sharks. When an older person passes it becomes very difficult for the family to come for the last grant. It is even difficult to do a death certificate because the ID is with the mashonisas. There are SASSA staff who are commissioners of oaths. The CEO is reviewing that so that the staff occupy the space and thus help reduce the long process. She said how can SASSA investigate deductions that were made for electricity for someone who does not use electricity? Regulation 26A has been abused a lot. The agency will work hard to ensure that children who are grant recipients have a good start in life. Children will also be told that their grant will be given to them provided they complete their schooling. This is to encourage them to continue going to school. On circulation of money to the community for local economic development, this is not a difficult one. There is a work stream that focuses on that. The SASSA team had held meetings with shop owners. South Africans have been complaining about the abuse of grant and this will give SASSA opportunity to monitor how the grant money is used. The agency will work towards improving the quality of life of people. There are challenges in a survey that is man-made, especially at times when SASSA’s workforce are saying that by 12pm the machines are not working and telling people to go home. The agency will monitor this. The SASSA workforce has been advised that in any queue, they must attend to the older persons first, followed by persons with disabilities, people with babies, then children that go to school and others, yet these workers do not do that. SASSA will monitor this. Mr Magwaza replied that SAPO is not taking over SASSA’s duties, they are only helping SASSA in the interim. It is the mandate of SASSA to pay grants. Ms Diane Dunkerley replied that SASSA has dealt with 129 550 disputes since 2015 to 2017. Out of this number, 52 901 relate to airtime, 14 802 was ATM card issues, the others relate to electricity. The Chairperson pleaded with Ms van der Merwe to request her answers in writing considering the magnitude of the questions. Ms van der Merwe said she needed a snapshot of the monthly breakdown, however she has no problem with written answers. Ms K Jooste (DA) asked if the "resolved" issues mean that the beneficiaries got their money back. The Chairperson said the question is important and requires a breakdown but because of time she pleaded with the member to allow SASSA to provide the information at its next meeting. Ms van der Merwe said that she respects the ruling of the Chairperson but it seems that whenever she asks questions about SASSA, she is always shut down. The Chairperson said there are many ways of dealing with the matter. Members have the right to write to the Minister. It is worrying to hear the member say that every time she asks question, she is always shut down. If the member sees it that way, then it is high time she had a bilateral with the Chairperson. Ms van der Merwe agreed to the bilateral. Ms Abrahams said that Ms van der Merwe was out of order to say her questions are always shut down. The Chairperson said she was happy with the progress made by the Committee during the budget vote debate. She pleaded with the members especially when they are in the extension of parliament to show respect, as the Committee Chairperson she makes sure that they are accommodated in terms of questions. She expressed her concern about the incident that took place during the Minister’s budget speech. The Minister spoke about drugs and what it does to the communities, then came laughter which shows a lack of respect to the Minister. The laughter has serious implications for how members see narcotics. The laughter was led by Ms E Wilson (DA) and her colleagues. As the Chairperson, no complaint will be written against the Member but this should be considered. It is good to have an opposition but in a peaceful and non-hostile environment. The complaint is not for comments or further complaint. Ms Masango acknowledged the reflection by the Chairperson. She said she did not laugh but will talk to her colleagues. Ms Tsoleli said that the Chairperson should follow the right processes. This is not the first time this incident is happening. The laughter was a show stopper. Respect should be given to the Minister and not a show of hatred. The Chairperson should complain if she wants it to stop. The laughter was so bad. Ms Malgas that the Committee is an extension of parliament and it is very disrespectful for Ms van der Merwe to walk out when the Committee is trying to resolve its challenges. Ms C Dudley (ACDP) said that the mocking was disrespectful. The Committee should make an apology to the Minister and the Department. Taking it to the Whip will be a good idea. The Chairperson agreed with Members on taking the necessary steps but since Ms Masango has agreed to take it back to her party, the Committee will take it from there. Mr Magwaza replied that National Treasury has not given feedback on whether to terminate or continue with the work streams. The Chairperson thanked SASSA. The meeting was adjourned.